BUNDABERG'S Troy Elder has inspired countless players from his home town with his on-field deeds during his career, and now he is coaching in Brisbane the 37-year-old Olympic gold medallist continues to drive hockey at Hinkler Park. 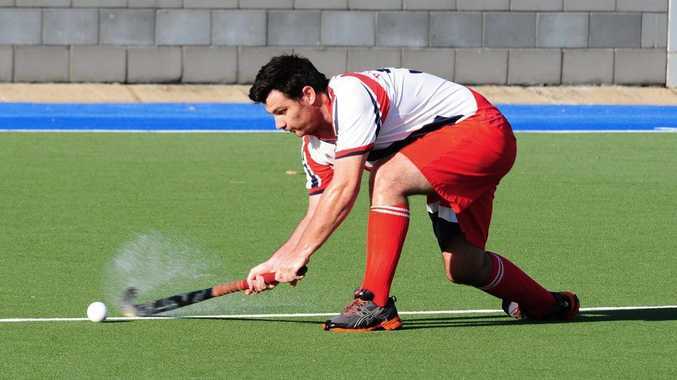 Elder, who won gold at the 2004 Athens games, coached the Bulimba Bulls to a 7-0 win over the Bundaberg All Stars at the weekend and there was plenty to learn as the Bundaberg men's team continues to prepare for its return to representative hockey. "The game was a great experience, the Bulimba players showed how sharp they were," Bundaberg All Star player-coach Dean Wightman said. "We took a lot out of the game - how they played and prepared. It wasn't a bad score but it showed we had a lot of work to do." The Bulimba Bulls charged early in the game and put three goals in the back of the box in the first 10 minutes, but Bundaberg rallied and restricted the visitors to four more in 50 minutes. Hockey at the senior level has struggled in past years and it looks like things are about to change after Wightman had up to 22 players at training sessions over the summer. Wightman plans to take the Bundaberg men's team to Toowoomba on April 25-26 and after playing a team better than one the Wide Bay could field he is looking forward to the challenge.